We Are Logan Square will host their second installation on educational workshops following the group’s “Gentrification Series” in January. LOGAN SQUARE — We Are Logan Square will host their second installment of educational workshops following the group’s “Gentrification Series” in January. The neighborhood alliance will present “Gentrification 101" Tuesday from 7-8 p.m. at Comfort Station, 2579 N. Milwaukee Ave., featuring a conversation with DePaul University urbanist Joe Schlichtman and Lauren Nolan from the Voorhees Center at the University of Illinois at Chicago, who will present the newly developed "Gentrification Toolkit." 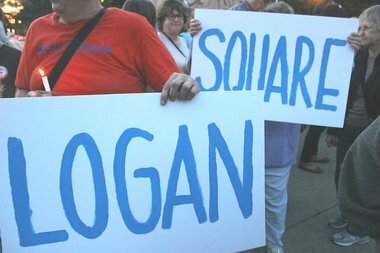 Schlichtman is “a passionate speaker and will impart you with the basics of this layered issue,” according to an announcement from We Are Logan Square, also know as Somos Logan Square. “This is not true and having a basic 101 presentation by a passionate and expert speaker is important to define term properly,” she said. The Voorhees Center contacted We Are Logan Square after the group’s first series in January to gather input on what Sell called the "Gentrification Toolkit," which will be unveiled Tuesday night and is intended “to help communities strategically stop displacement, preserve economic diversity and allow development to be driven by the community," she added. "Not the developers." “This toolkit has the potential to be a powerful tool for communities to combat gentrification and we are honored to be part of their development and implementation process,” she said.